Stylish and sophisticated, this personalised family chopping board features the family name engraved in slate. A lovely family gift! 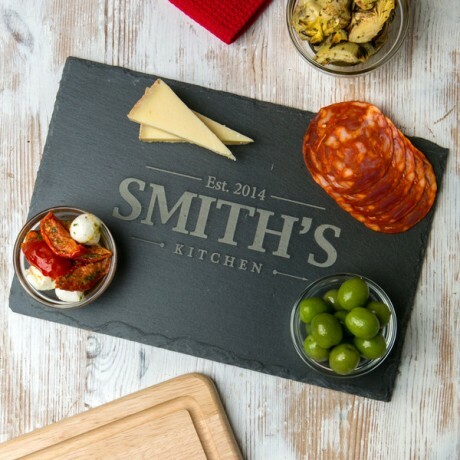 This engraved slate cheese board is a versatile and simple addition to the kitchen and dining room. 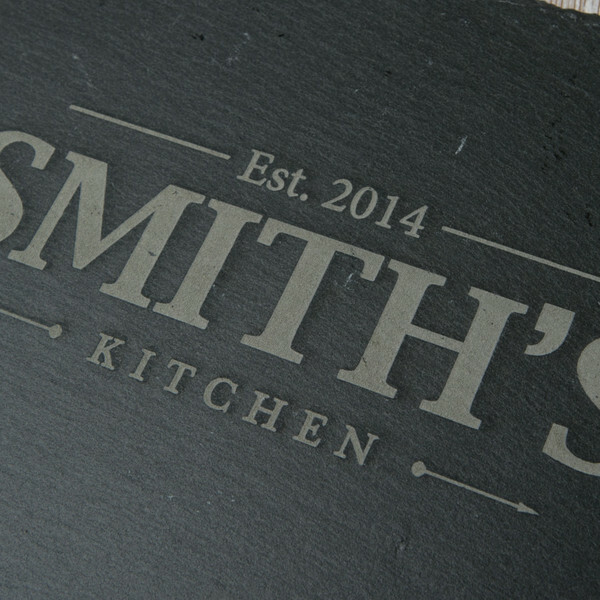 Using bold and stylish fonts, we've added a bit of design to a usually boring kitchen item. The design has a year at the top (the parents' wedding date, for example) and then '[Name]'s Kitchen' below. The understated sophistication of these slate boards, which are resilient in the kitchen, and beautiful on the table is loveable. The surface of the cutting board will be deeply engraved with the family name. 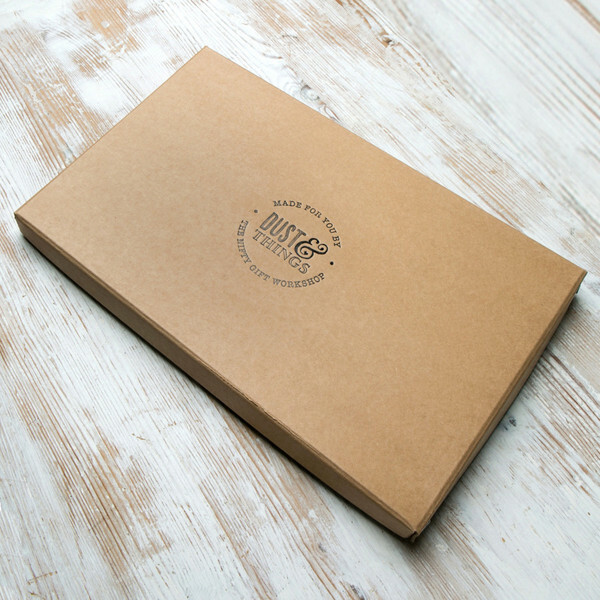 You can also add a secret message to the back of the board, and a special gift box. UPPER CASE & LOWER CASE LETTERING: Please get in touch with this seller if you have any enquiries related to uppercase and lowercase letters within your engraving.